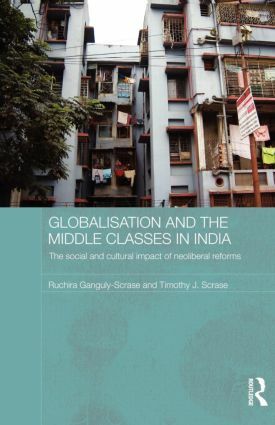 This book fills an important gap in the existing literature on economic liberalization and globalisation in India by providing much needed ethnographic data from those affected by neoliberal globalisation. Based on ethnographic fieldwork and interviews, it reveals the complexity of the globalisation process and describes and accounts for the contradictory attitudes of the lower middle classes. The authors challenge the notion of a homogeneous Indian middle class as being the undoubted beneficiaries of recent neoliberal economic reforms, showing that while the lower middle classes are generally supportive of the recent economic reforms, they remain doubtful about the long term benefits of the country's New Economic Policy and liberalisation. Significantly, this book discusses and analyzes both the economic and cultural sides to globalisation in India, providing much-needed data in relation to several dimensions including the changing costs of living; household expenditure, debt and consumerism; employment and workplace restructuring; gender relations and girls’ education; global media and satellite television; and the significance of English in a globalising India. Globalisation and the Middle Classes in India will be of interest to scholars and students working in the fields of Sociology, Social Anthropology and Development Studies, as well as Asian Studies - in particular studies of South Asia and India - and Globalisation Studies.